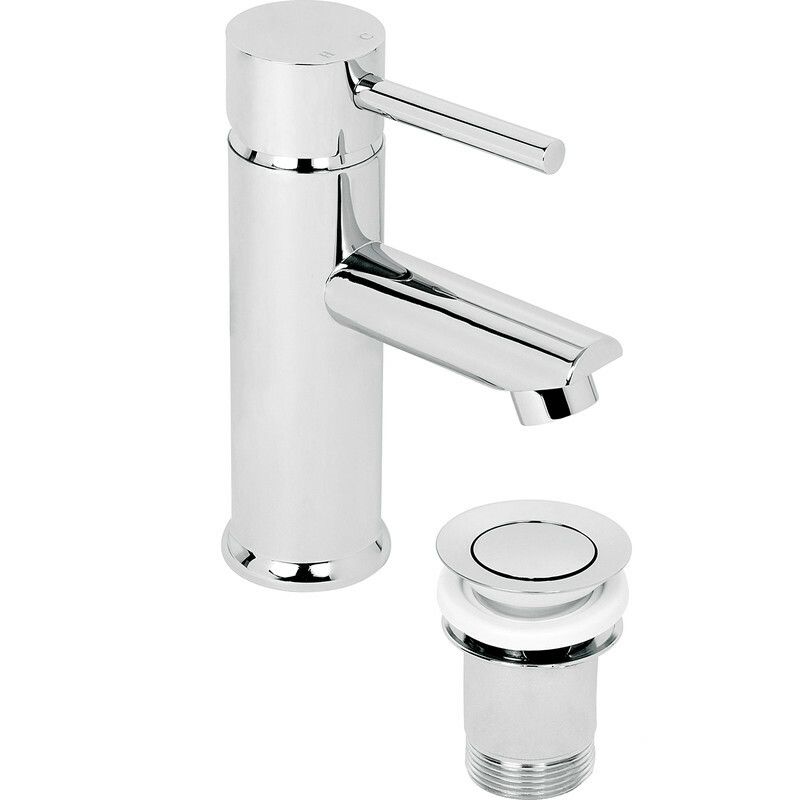 Chrome plated brass with tilt & turn flow and temperature control. Height as fitted 178mm. Includes pop up waste. Minimum working pressure 0.2 bar. Deva Insignia Mono Basin Mixer Tap is rated 4.4 out of 5 by 10. Rated 5 out of 5 by Dav74 from Quality finish. Looks good,solid feel to movement.Very pleased,at great price. Rated 4 out of 5 by Mmmmmmmmmmmmm from Its a tap ! Its a tap and does as described. The only thing i was disapointed with was the pattern of the water as it comes out. Instead of a central flow it kind of splits into two dont know if thats normal but couldnt be bothered to return it just to find out. All in all a good looking tap not able to comment on long term use as only been using for a couple of weeks. Rated 4 out of 5 by BernieL from Replacement Tap I bought this product recently and a friend fitted it. It did not take long .Good mechanism comes complete with flexible hoses and a good pop up waste that does away with the rod mechanism I had before. Rated 5 out of 5 by WE69 from Nice quality Nice well made comes complete with flexi hoses. Easy to fit. Rated 5 out of 5 by John111 from Great value I was looking to purchase both a replacement mixer tap and basin outlook, therefore the combine set was just what I was looking for. Rated 5 out of 5 by Heather from Replacement tap Needed to replace the leaky tap on the wash hand basin. This one looks sleeker than than the origional and works perfectly. Rated 1 out of 5 by Bobblehat from Poor quality After less than 2 months, the chrome on the waste became pitted even though no harsh cleaners had been used.